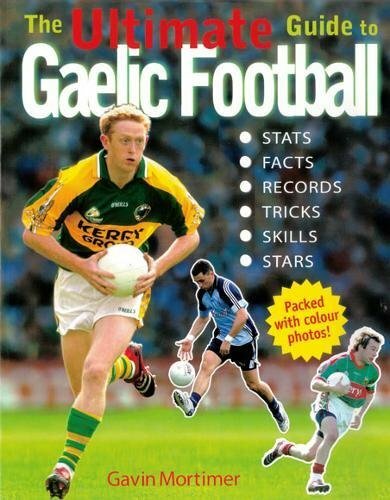 Want to know how to score goals like Peter Canavan? Or how to save them like Diarmaid Martin? Top tips throughout this book show children how to improve their playing skills. Learn how to perfect hand and fist passes. Improve tackling skills including the shoulder charge and slapping the ball from an opponent's hand. Practise punt, hook and penalty kicks. Learn what the referee, umpires and linesmen do and what their signals mean. Want to know how to score goals like Peter Canavan? Or how to save them like Diarmaid Martin? Top tips throughout this book show children how to improve their playing skills. This book helps you to: learn how to perfect hand and fist passes; improve tackling skills including the shoulder charge and slapping the ball from an opponent's hand; practise punt, hook and penalty kicks; and, learn what the referee, umpires and linesmen do and what their signals mean. Gavin Mortimer has written numerous books for both adults and children including Shackleton: The Story of Ernest Shackleton and the Antarctic Explorers.